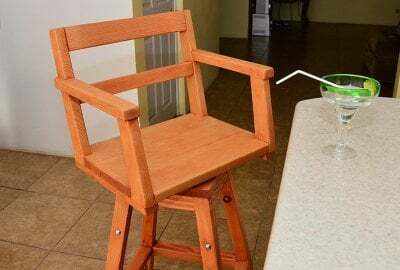 Outdoor Seating Options Built to Outlast Us All! 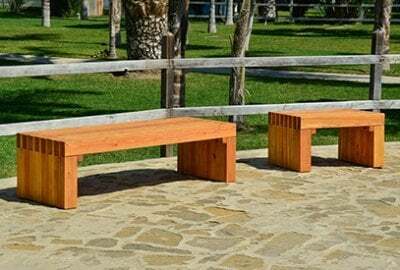 Choosing the right Wooden Outdoor Seating is important, whether for your home, park, school, or business. At Forever Redwood, we have lots of great options in all types of styles, sizes, and budgets. 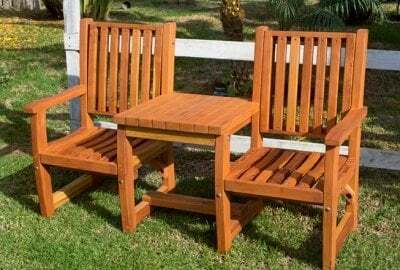 Large or small, folding, or solid shaped, you can pick the perfect Wooden Outdoor Seating set to suit you. Each one is built by hand, and fully customized to order. Simply pick what you want, and have us build it just for you! 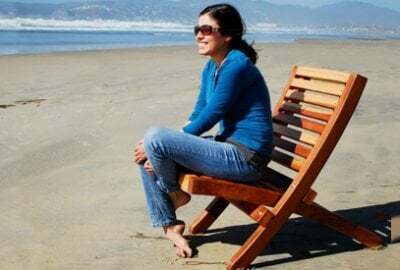 Our Beach Chairs are cleverly designed in two parts that just slide together. Easy to store, comfortable and built for lasting durability! Just pull out the seat and take a snooze! 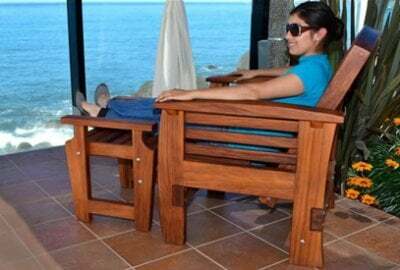 Reclining Easychairs are perfect for relaxing inside or out. 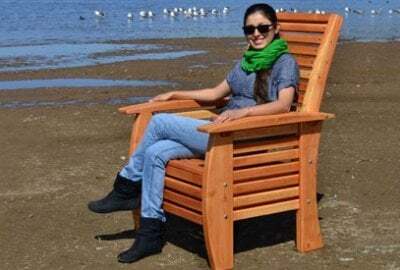 You'll love how comfortable it is and how sturdy and strong it feels. A striking complement to our Ensenada Easy Chair, our Ensenada Ottoman is beautifully designed to complete the set in both style and comfort! 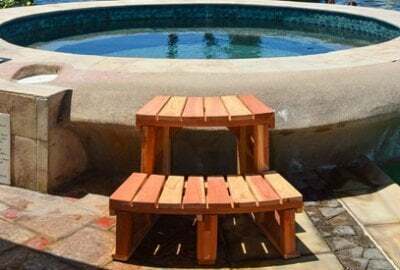 Designed with your spa or hot tub in mind, our Circular Spa Steps provide a beautiful, practical and safe way to enjoy your spa! 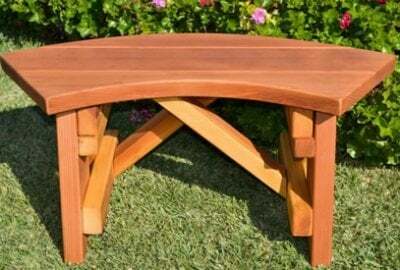 A beautiful dining bench perfect for outdoor/indoor dining with loved ones for years to come. 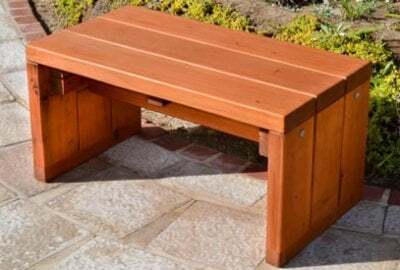 This beautiful bench boasts a seat made from a mosaic of Redwood. Friends and neighbors will be asking where you found it for years to come. 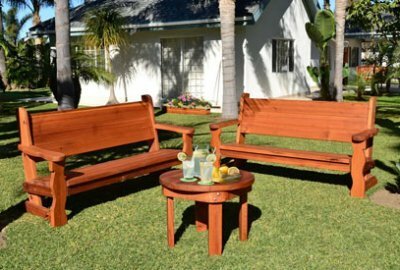 The simple yet elegant San Diego Portside Bench was overbuilt for public spaces, but will happily grace a private residence as well. Available in a range of sizes and options. A treasured favorite for decades, the Adirondack Vignette Settees are loved because they are a comfortable and functional and a great place to get away and chill. Alan’s Engraved Wood Bench is a beautiful design with powerful contours. Built with gorgeous long lasting California Redwood to last decades. 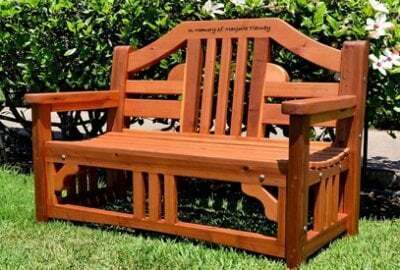 Enjoy this classic picnic/park bench with a sturdy inclined back for greater comfort. A thoughtful, elegant wedding or anniversary gift, or a treasured addition to any home, our Vignette Settees are the perfect place to dream, remember, and share with that special someone. 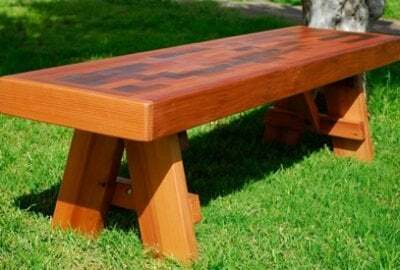 More than a Picnic/Dining Bench! 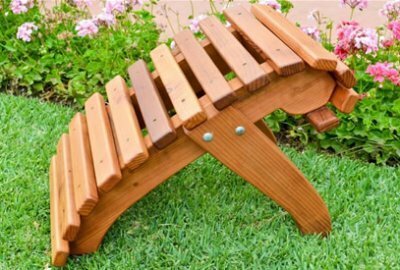 We added trestle legs and beautiful fun curves to a traditional bench style and created a handcrafted masterpiece. 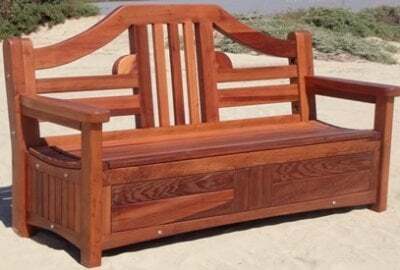 Angel's Rustic Wood Bench was designed for the outdoors. Rain or shine, your bench will keep on trucking year after year. 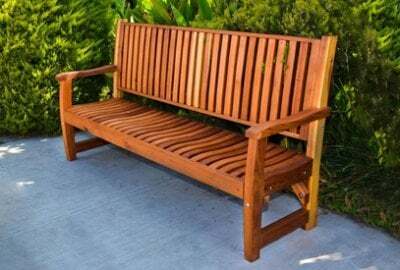 You can select your bench in sizes that range from 3-8 feet, and can include an optional seat cushion if you like. 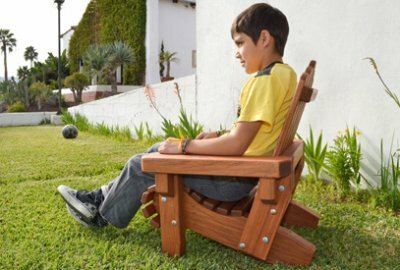 A replica of our full-size Adirondack Chair, the Kids' Adirondacks are built for the generations and suited to be proudly displayed anywhere inside or outside your home.